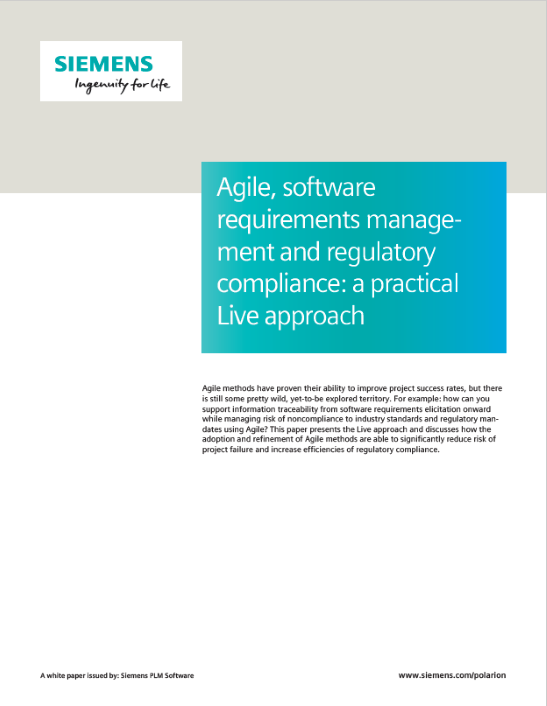 Download now: "Agile, software requirements management and regulatory compliance: a practical Live approach"
Agile methods have proven their ability to improve project success rates, but there is still some pretty wild, yet-to-be explored territory. For example: how can you support information traceability from software requirements elicitation onward while managing risk of noncompliance to industry standards and regulatory mandates using Agile? This paper presents the Live approach and discusses how the adoption and refinement of Agile methods are able to significantly reduce risk of project failure and increase efficiencies of regulatory compliance.